In 2006, the Hispanic Lawyers Association of Illinois created HLAI Charities to formalize and expand its historic commitment to philanthropic pursuits within the community. HLAI Charities now serves as the charitable arm of the Hispanic Lawyers Association of Illinois. Donations to HLAI Charities are used for the awarding of scholarships to law students to prepare for the Bar Examination, and starting in 2018 we will also award scholarships to deserving college students for their LSAT preparation. 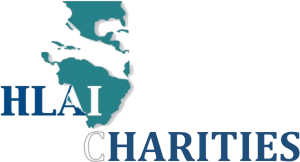 For more information about HLAI Charities, please contact HLAI Charities President Andrea Belard at hlaicharities@hlai.org and list HLAI Charities on the subject line.